Visiting Manhattan and searching for a place to swim? Nice choice! Don't neglect to tell us how did it go. 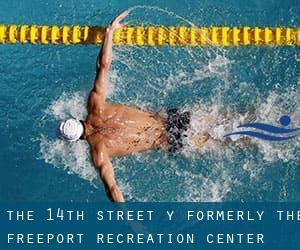 Introducing now The 14th Street Y (f. the Freeport Recreation Center) swimming pool, an excellent swimming pool sent by a swimmer like you couple of days ago. Have you visit this pool? Do you work here? Please, contact us for those who have info that you consider is gonna be useful and keep in mind from now on you'll be able to now promote every pool just by sharing this page with your pals or adding comments within the Facebook boxes below. Come on and aid this pool to be the very first in Manhattan! Among all of the activities offered by the center, if you are thinking about swimming you will get pleasure from 20 yards x 25 feet, 4 lanes, Indoors. If you have to get in touch with this Swimming Pool, e-mail address and phone number are both number. On 14th St. between 1st and 2nd Aves. Updated on 2019 39 Whitehall Street , Financial District , New York , NY , USA (Postal Code: 10004). Among all of the activities offered by the center, if you're interested in swimming you may delight in 60 feet, 2 (wide) lanes, 3 feet - 5 feet depth, Indoors. If you have to contact this Pool, e-mail address and phone number are both number. Updated on 2019 5 W. 63rd St. , Upper West Side , New York , NY , USA (Postal Code: 10023). Few days ago a typical user of this center told us they offer 25 yards x 25 feet, 4 lanes, Indoors. Furthermore, they keep in good conditions 20 yards x 20 feet, Indoors. For this Pool, only phone number is number here. Updated on 2019 1605 Broadway, 15th Floor , Midtown / Times Square , New York , NY , USA (Postal Code: 10019). This sports center provides 50 feet x 18 feet, 4 lanes, Indoors. For this Swimming Pool, only phone number is number here. 533 W. 59th St. , Hell´s Kitchen / Columbus Circle , New York , NY , USA (Postal Code: 10019). Among all of the activities provided by the center, in case you are interested in swimming you will enjoy 20 yards x 35 feet, 4 lanes, 8 feet depth, Indoors. Just in case you would like to contact this Swimming Pool before dropping by, we only know the phone number. 392 Asser Levy Place , Gramercy Park , New York , NY , USA (Postal Code: 10010). Swimmers like you reported 22 yards x 26 feet, 3 lanes, 8 feet depth, Indoors. Unfortunately we do not have the email address of this Pool, but we can give you the phone number. AOL Time Warner Center , 80 Columbus Circle at 60th Street , Columbus Circle , New York , NY , USA (Postal Code: 10019). Swimmers like you reported 25 yards, 2 lanes, 4 feet depth, Indoors. Phone number and e mail address are number for this Pool. Updated on 2019 1 Central Park West , Columbus Circle , New York , NY , USA (Postal Code: 10019). This sports center gives 55 feet, 2 lanes, Indoors. For this Pool, only phone number is number here. 180 W. 135th St. , Harlem , New York , NY , USA (Postal Code: 10030). Swimmers like you reported 20 yards x 20 feet, 4 lanes, Indoors. Unfortunately we do not have the email address of this Swimming Pool, but we can give you the phone number. Updated on 2019 75 West End Ave. , Upper West Side , New York , NY , USA (Postal Code: 10023). This sports center offers 70 feet x 25 feet, 4 lanes, 3.5 feet-5 feet depth, Indoors. For this Swimming Pool, only phone number is number here. 203 W. 58th Street , Columbus Circle , New York , NY , USA (Postal Code: 10019). This sports center offers An Endless Pools adjustable current pool, Indoors. For this Pool, only phone number is number here. 430 West 25th Street (between 9th & 10th Avenue) , Chelsea , New York , NY , USA (Postal Code: 10001). Among all the activities offered by the center, if you are interested in swimming you will appreciate 25 yards, 6 lanes, Indoors. Just in case you desire to contact this Pool just before dropping by, we only know the phone number. 334 Amsterdam Ave. at 76th St. , Upper West Side , New York , NY , USA (Postal Code: 10023). Swimmers like you reported 25 meters, 5 lanes, Indoors. Unfortunately we do not have the e-mail address of this Swimming Pool, but we can give you the phone number. Updated on 2019 Marshak Science Building , Convent Ave. , Harlem , New York , NY , USA (Postal Code: 10027). This sports center provides 25 yards, 6 lanes, Indoors.